I've decided to give Diablo 3 a little break, at least demote it to playing only once a week so that I can sink my teeth into Invisible Inc. It's one of the PC games I have bought so far this month (along with DeadCore, The Fall, Pac Man DX (which I already owned on my 360 and Spirits of Xanadu). 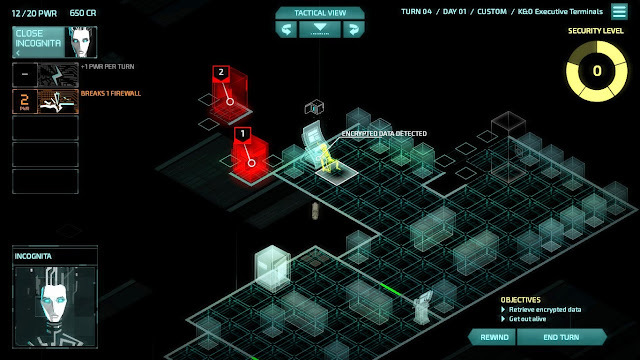 It's a turn based stealth game by Klei, the guys who brought us N+. Eets, Shank and the instant classics : Don't Starve and, my personal favourite stealth game, Mark of the Ninja. 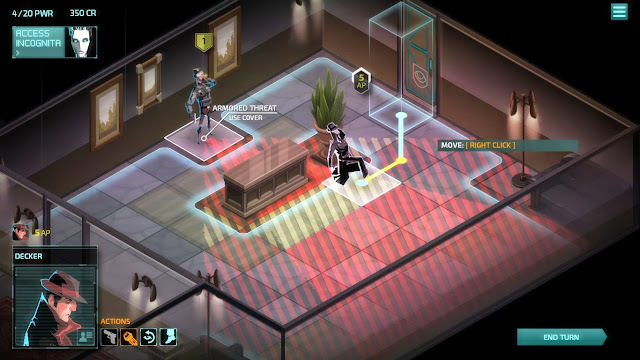 Just like in X-Com there are quite a few ways to adjust the difficulty level, but it's pretty clear from the get-go that this is something you aren't going to get through on your first attempt. 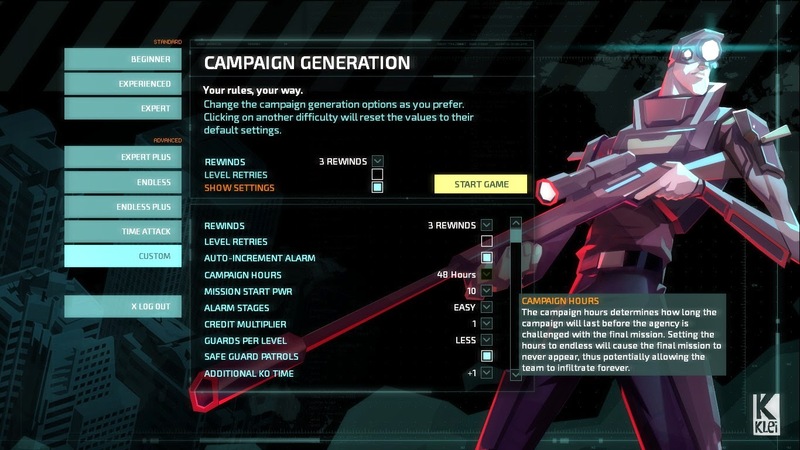 You use action points to get through the levels, hack terminals, steal information, eliminate the guards; pretty straight forward stuff. The world is a mix of retro-futuristic design and film noir and spy movies. There are different ways to view the map: the normal way, the tactical way and the super cyber punk way (though your uber-hacking computer named Incognita). Throughout the level you will gain Power points which are used for Incognita's different abilities - such as to hack terminals, power systems and video cameras. 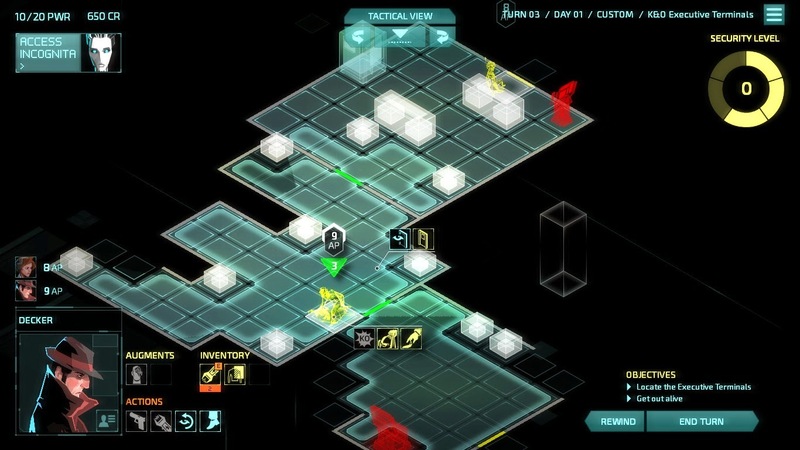 The security level (in the top right hand corner) constantly progresses so that the longer you stay in a level the more difficult it becomes. A cool touch was also the Access to Warez exchange, where you can buy new abilities for your AI. 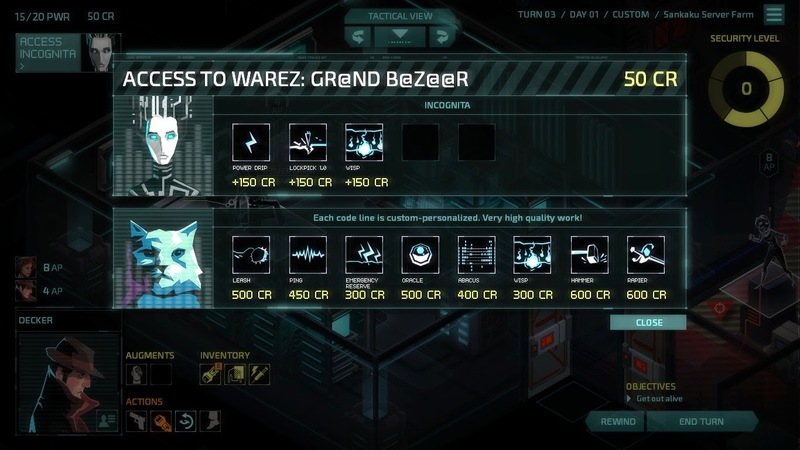 You need to use credits which you will find by taking the time to hack terminals and of course as a reward for beating a level. Remember how I said 'Get ready to fail' ? I didn't quite word it like that but, yeah, get ready. 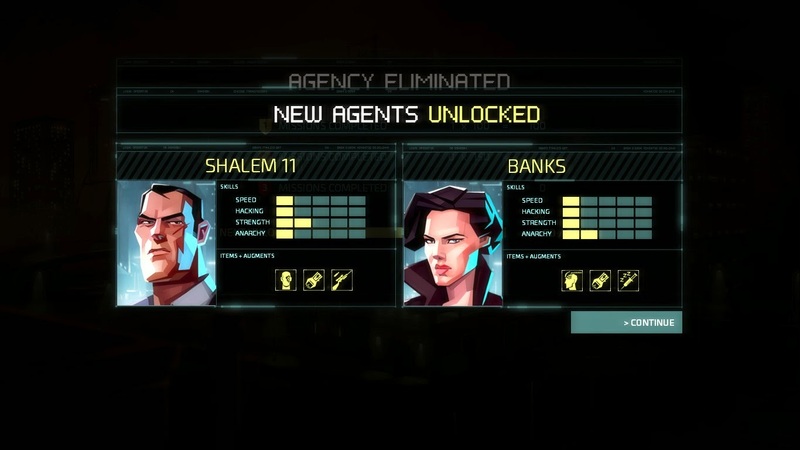 Yet failure is apart of learning and so, as you fail, you will also unlock new agents and (I'm guessing now) maybe new abilities. 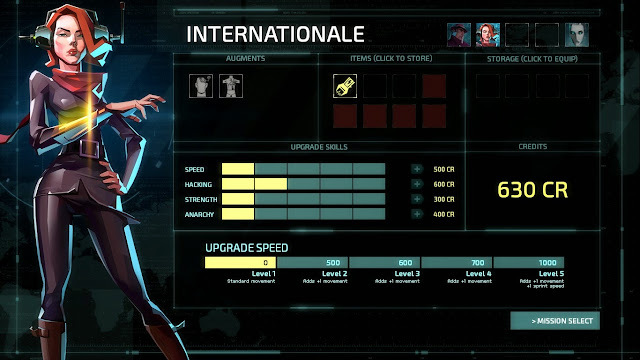 You can't make your own characters in this one, like in X-Com, but you can take a few different characters and they all have back stories - pretty cool. 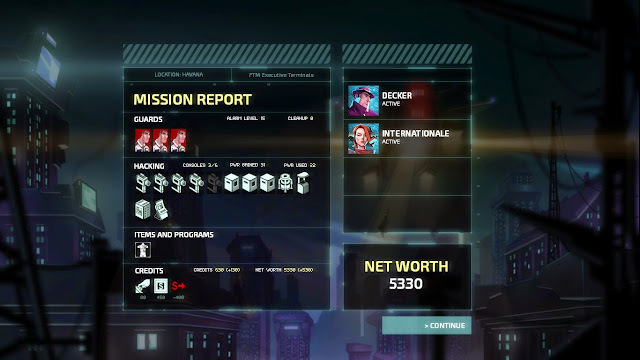 Beat a level - get a report card, and some credits to spend, nothing out of the ordinary here. You'll need to choose, use your credits to upgrade one character or another, or your AI, it doesn't seem like there is going to be enough to go around - at least not at the beginning. 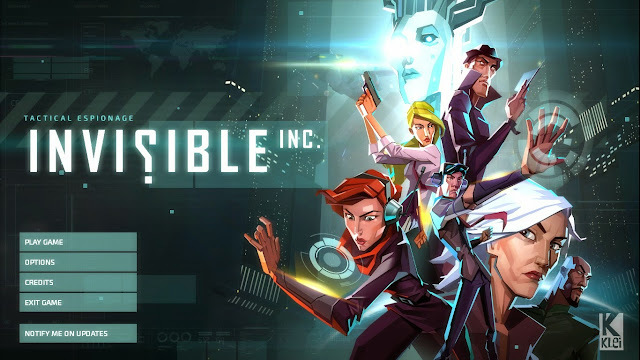 I bought Invisible Inc. just based on how much I loved Mark of the Ninja, so far I have not been disappointed : the quality of the music, the graphics, the style not to mention the overall quality of the game has already got me wanting more. All that I really want is a good experience, some memories worth the 16€ I spent on it.